Following representations to Lambeth Council (or the co-operative council as I believe they now tag themselves, although recent events would suggest that word association is unfortunate) it looks as if double yellow lines will replace the bollards at the South Lambeth Road end of Langley Lane, from South Lambeth Road to Langley Mansions. This is as a result of the indiscriminate parking by clubbers and contributors to Vauxhall’s ‘night-time economy’ which means that the exit from Langley Lane is frequently blocked. It’s to be hoped that the yellow lines, due to go down end-March, will be enforced, and that the situation isn’t just exacerbated by the removal of the bollards. If it is, we will make yet more representations to the co-operative council. We are also pressing for the reinstatement of the paving wrecked by the contractors who built the student accommodation block next to Langley Mansions. Unfortunately, and tedious though it is, it’s the squeaky wheel that gets the oil. 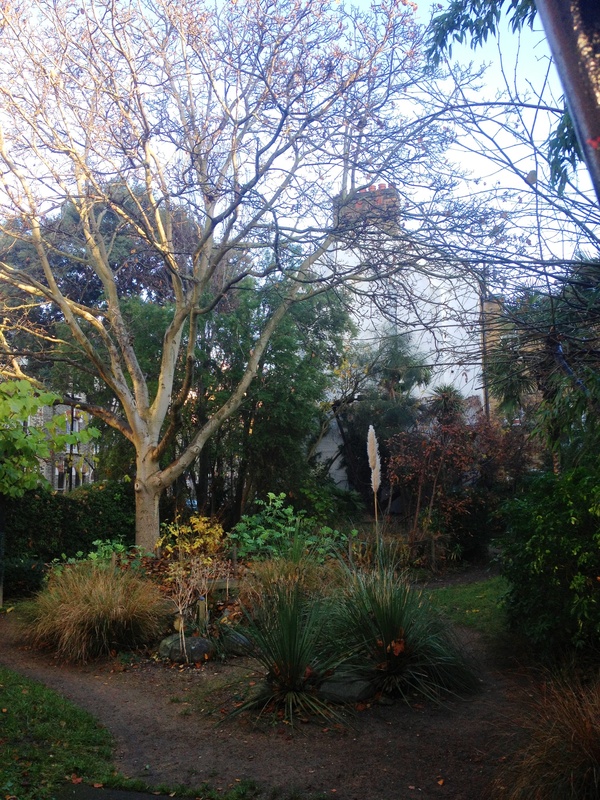 Back in December, six Academy and Bonnington Square residents attended a hearing of the Lambeth Licensing Committee to listen to a fast food application for 45A South Lambeth Road. Originally due to be heard on 18th November, it was moved to 23rd December. Twenty objections were listed from local residents (an exceedingly high number, we were advised) plus those from Licensing Police, Enforcement, and Noise. No applicant though. Apparently, he had broken down en route and so, whilst waiting, we listened for an hour to another case. When that was determined, and the applicant was still a no-show, the Chair informed us that “in fairness to the applicant” the hearing of the application would be adjourned until the New Year. We were told that if he didn’t turn up next time the hearing would go ahead without him. Well, knock me down with a cheeseburger, it was postponed yet again from January 9th and rescheduled for Tuesday 4th February. As of 26th January the application still wasn’t showing on the Lambeth website. Don’t hold your breath (unless you’re in the aforementioned kebab shop, in which case it’s advisable). This one is destined to run and run (as buses are won’t to do). Take a look at our earlier post on this subject. It’s a shame that the Bus Station and the Gyratory seem to be inextricably linked. It would be nice if we could keep the former but get rid of the latter. Anyone from the Academy who can cross in one attempt at the lights at the end of Langley Lane without breaking into a sprint to beat either a bus or an agitated half-wit on a Ducati who is desperate to accelerate to the next set of red lights 100 metres away (or even cyclists who think that the red lights don’t apply to them and that pedestrians trying to cross the pavement via the cycle path on South Lambeth Road are fair game) is clearly in training for the next Olympics in Rio. Following on from the public meeting on 18th January, detailed in our post of 21st January, here is a letter to the Chair of the Kennington, Oval & Vauxhall Forum from Councillor Lib Peck, Leader, London Borough of Lambeth (no, I’d never heard of her either, she’s obviously very active elsewhere in the Borough, although no doubt she’ll be making frequent rash-like appearances around our patch for the next few months until after the May elections, then she’ll miraculously disappear again. Sorry, that’s probably a bit harsh. But no doubt fair). It would appear that we (that’s those of us who actually live in Vauxhall, as opposed to those making decisions on our behalf) want to, and I quote from Lib Peck’s letter, make Vauxhall “the gateway to Nine Elms on the South Bank”. News to me, but it’s nice to know that we actually have a purpose. Not for us just living here and enjoying London, the river and our community. No, apparently we’re here to ensure that the incomers travelling from the far flung corners of the globe to live in their shiny new riverside flats for four weeks out of fifty-two have somewhere pleasant to pass through in their taxis from Heathrow. I wanted to reassure you that the views expressed at last week’s meeting have been relayed to me, and I understand the concerns and priorities of your members and others who attended the meeting. I believe we share the same goals for Vauxhall – to make it a thriving district centre and the gateway to Nine Elms on the South Bank, underpinned by excellent transport connections. This is the Council’s adopted planning policy. The question is, how is this achieved? Transport for London,(TfL), is responsible for managing and maintaining the capacity on this strategic part of the road network in London, so the traffic interchange has to work, especially for buses. No changes can go forward at the expense of the transport interchange. There is considerable technical analysis underway to establish whether the gyratory can be made to work two way and to understand the consequences of achieving this, if this is what is ultimately agreed. The programme for this work was shared with KOV last week. There will be no final decisions in relation to this for several months. that there is a wider awareness of the Council’s ambitions. This change will continue with the implementation of Vauxhall Square and other exciting developments that the Council has supported. The workshop next week, (29th January), will provide a useful starting point for this conversation and will help shape future consultation. At the workshop we will be sharing the results of the traffic modelling thus far, what the volume of users by mode has been, and discussing the issues and opportunities that the district centre and two-way working present. It is essential that full and meaningful consultation follows this first stage of technical investigation, and the council passed a motion to this effect at the beginning of last week. There is clearly a challenge to TfL, and the Council, to demonstrate that any options or proposals will improve the existing situation, and not make it worse. However, I would also ask that you keep an open mind about the potential benefits that change might bring. These need to be articulated through the process so that everyone can come to a view. ‘A Manifesto for keeping Vauxhall Bus Station’? Kennington, Oval and Vauxhall voted by 80 to nil with 13 abstentions against doing away with Vauxhall Bus Station at a standing-room- only KOV Forum public meeting on 14 January. They heard from officials of London Borough of Lambeth and Transport for London – and from the informal ‘Friends of Vauxhall Bus Station’ – that officials are working on only two main options for changing Vauxhall Cross. Both involve making the gyratory two-way, closing the bus station and dispersing the bus stops “onto the highway” – i.e. broadly back where they were before the gyratory was created. Voters were swayed by a presentation by TVS members Pauline Gaunt and Helen Irwin (see below) of the informal bus station group that amounts to a manifesto for a campaign to keep the bus station and possibly, in the council elections this May, to ditch councillors who support doing away with the ten-year-old bus station. Also below is Martin Stanley’s account of the KOV meeting, to fellow members of TVS affiliate The Fentiman Road and Richborne Terrace Residents’ Association. Other interesting nuggets from the KOV meeting: officials have taken to dropping the ‘Battersea’ (which is in Wandsworth) from mentions of the Vauxhall, Nine Elms and Battersea Opportunity Area…. of the 18,000 ‘new homes’ promised for VNEB, 12,000 will be on the Battersea/Wandsworth riverside and only 3,000 in Vauxhall… the impression that, like Sainsbury’s at Nine Elms, Lambeth and TfL are now players in the property market. TfL already gets to build and run the Northern Line Extension, while both TfL and Lambeth could cash in if the bus station is demolished and built on. Hello. My name’s Pauline Gaunt and with me is Helen Irwin. First we’d like to thank the Lambeth team [Alex Williams, Director of Borough Planning at Transport for London and Sandra Roebuck, Assistant Director, Neighbourhood Investment, London Borough of Lambeth] for the discussion time they’ve given us. We share their enthusiasm for an exciting new, improved Vauxhall. Between us, Helen and I have clocked up 85 years of catching buses at Vauxhall. We believe a dedicated bus station is a vital part of the transport hub and should not be lost and many local residents have contacted us to agree. Unlike the Council, we think aspirations for ’improved public realm’ and ‘a vibrant heart’ can be achieved without compromising the bus station and the interchanges. We also want to speak up for the people who rely on the buses every day but are not here tonight – people too tired, or busy, to go to meetings or fill in questionnaires, and the tens of thousands of commuters using Vauxhall who have not been consulted at all, and have no idea what Lambeth has in store for them. Because the thing that has struck us everywhere, is that almost nobody knows what is planned for the bus station. Outside community groups and people like us who spend hours wading through reports, the almost universal response is ‘I didn’t know they wanted to do that – why?’ Even the management of Little Waitrose in Bondway didn’t know, and they are 20 feet away from the bus stops. So how come so few people know? Consultation on Vauxhall Cross has been going on since 2007, but the threat to the bus station has not got through to stakeholders. Apparently no-one thought of consulting the major users, the commuters, through leafleting at the stations or handing out questionnaires at the bus stops, or putting up posters in the tube, even though transformation of the interchange is at the heart of Lambeth’s plans. Planners rely on feedback as a basis for the decisions they make but responses to questionnaires are woefully few. Typically, one in March 2012 elicited only 256 replies. There are 45,000 passengers at Vauxhall each day so the conclusions drawn and the decisions taken have been based on statistically insignificant representation from the people affected. The form of questionnaires is also a problem. Planners never ask direct questions. No-one has ever been asked if they want to keep the bus station, or what they think are its best features. No-one ever said that support for ‘improved public realm’ meant a vote to lose the bus station. Instead they were presented with a series of uncontentious statements, avoiding the mention of any unfortunate consequences of adopting them, and then asking people to agree or disagree. In the Draft SPD [Supplementary Planning Docoment] questionnaire there are ten statements, and oddly, since we’re discussing the future of the second biggest and most important transport hub in London, none of them refer to public transport. There is a space at the end for comments, but who is going to think of saying ‘but not at the cost of the bus station’ when it has not been mentioned. Now Lambeth [London Borough of Lambeth Council] are not fans of the Bus station. You can search in vain in the SPD or anywhere else for recognition of the value that it has brought to people’s lives. Lambeth see it only as an obstacle to the creation of their Vision. It is pointless to dispute in matters of taste over its design. It’s in need of some tlc [tender, loving care] and visual improvements, and better bus routes in and out, but I love it and think it is stylish and iconic. Lambeth think it gives the area a negative image. Clarks shoes thought it was so classy and distinctive they shot a major advert in front of it, and many of us see it as the best thing to happen to transport in Vauxhall since the Victoria Line was built. So what are ‘The Virtues of Vauxhall’ ? PROXIMITY – No buses stop more than a few yards from each other or from the tube and train stations. The Council say neither they nor TfL would countenance a return to the pre-bus station situation. The fact is that stops which are moved to St George Wharf and other positions in the only schemes under consideration, are scattered around, far from tubes, trains and other buses. FULL CHOICE OF ROUTES – all buses going in the same direction stop at the same stop. This will no longer apply. In both options under consideration stops are split. Lambeth have decided this doesn’t matter. At the Jan meeting of the Overview & Scrutiny Committee it was noted that if some stops needed to be located away from Bondway in order to deliver improved public realm, significant overall benefits for bus passengers would be achieved. We disagree strongly. WEATHER COVER – walk under the canopy to every bus stop. Lambeth say the canopy ‘ doesn’t work as well as we think it does’. But it sure as Hell works 100% better than no cover at all. Users need protection to change between buses, tube and train without getting wet. Lambeth are ignoring this need because it hampers their High Street ambitions. SAFETY – all stops are contained on a single, easily accessible platform away from the circulating traffic. No roads to cross, no steps, good for wheelchairs and Mums with pushchairs, no long walks late at night changing routes. All the proposed new bus stops are kerbside, adjacent to moving traffic with all the road safety hazards that suggests.They will also be more polluted. We know Vauxhall is one of the most polluted parts of Lambeth. There is a serious question to be asked as to whether it is right to move bus stops to the edges of major roads, or to designate a place within the gyratory as a venue for cultural and community events. We’ve been talking to everyone we can at Lambeth and TfL for two years and have had endless re-assurances – you might have had some yourself – that all options are still being considered, that it is still early days in the process – but it isn’t early days. In planning terms it is five minutes to midnight. 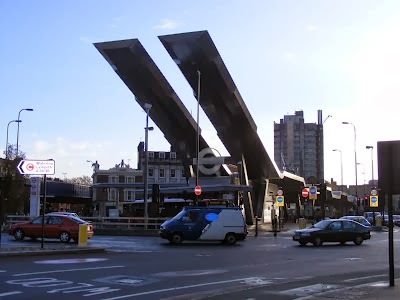 Lambeth began to consider constructing a High Street in 2008 – less than four years after the bus station was completed at a cost of more than £4 million. Since then all the planning has been predicated on the assumption that the bus station would go. The only options under consideration involve its demolition. Any future consultation will be solely about how the transport is fitted around the ‘vision’. Ironically, the Property Market has given us a solution by offering us all the social heart Vauxhall needs a stone’s throw from the transport interchange and in a much better location. First, within the planned new District Centre, the Little Waitrose is hugely successful. The Council expect more shops to open in St George Wharf. Market Towers, will have a large public plaza, a hotel and several thousand sq.m retail, all up and running by 2016/17. Bondway Storage – another 1000 sq m of shops completed by 2018. AND, right next door to the Bus Station itself, Vauxhall Square will have more than 3,000 sq m retail, two hotels, cafes, a gym and a 4 screen cinema – all around a pedestrianized public square safe from traffic and pollution and as big as Paternoster Square in the City. The developers want this to be a focal point for community events. Work begins next year. Five minutes away – a new Waitrose in Nine Elms Lane with 18K floorspace opens 2015. Sainsbury’s, Wandsworth Rd – rebuilt bigger and better– opens in 2015. Then we have BT’s Keybridge House, and Lambeth Place with its swimming pool. And along the Albert Embankment, all the arches under the railway are already occupied and new shops and cafes are planned along the river. So what would Lambeth’s High Street, add to all this? When people say they want a High Street it’s just a metaphor for more shops in nice surroundings, and that is what we are offered close by. We have a once in a generation opportunity to have the best and most efficient transport hub in London, all within steps of an enticing new heart of Vauxhall which will be beating strongly well before Lambeth have had time to demolish the first bus stop. We must not bungle this. Lambeth have a primary responsibility to protect and improve transport. They have allowed this to become secondary to their quest for ‘public realm’. The consultation was fatally flawed and they have no mandate to demolish the bus station. The bus station is itself an essential civic space, together with the rest of the interchange, which commands huge popular support as part of a town centre, not just confined to Bondway but defined within the area around Vauxhall Cross. Lambeth must now scrap the current timetable with TfL, which locks us into destruction of the bus station, and pursue a vigorous renewed consultation with all the stakeholders before any final decisions are taken. There was standing room only at the KOV Forum meeting on 14 January when at least 90 people heard presentations from Lambeth, TfL and the informal ‘Friends of Vauxhall Bus Station’. The key message from the officials was that they are working on only two main options for changing Vauxhall Cross, both of which involve making the gyratory two-way, closing the bus station and dispersing the bus stops “onto the highway” – i.e. broadly back where they were before the gyratory was created. They distributed a briefing note which I will circulate separately. Two plans were attached to the note, describing the two options. One may be seen here, showing the bus stops on the Wandsworth Road and under one of the railway bridges. The eventual formal consultation will compare at least one and possible more than one option with the status quo, but not one that includes a return to two-way working and retention of the bus station (or something better). The latter option “might come back” but that could only be as the result of “a political decision” taken by the Leader of Lambeth Council (Lib Peck) and the Deputy Mayor of London (Transport), Isabel Dedring. Isabel Dedring 14 January 2014: Can I just personally reassure you that there is no intention by either Lambeth or TFL to affect bus interchange (or indeed public transport interchange) negatively with this project at all. Lib Peck 14 October 2013: We will not be returning to a situation where bus stops appear to be scattered throughout the area. The stars of the meeting were Pauline Gaunt, whose presentation I will also circulate separately, and Kate Hoey MP who (a) was forced to stand throughout the long meeting and (b) asked the most penetrating questions, leading to the admissions summarised above. The meeting was very ably chaired by Malcolm Russell who, interestingly, began the meeting by bemoaning Lambeth’s failure to respond to the Forum’s numerous questions re Keybridge House – another hot button topic in our area. In more detail: Sandra Roebuck, for Lambeth, and Alex Williams, for TfL, apologised that the Council had been so quiet since it published its commitment to a District Centre by adopting its Supplementary Planning Document in January 2013. But there is now lots to discuss about the future and there will be “full engagement” over the coming months leading up to formal public consultation in September 2014 which will “lay out options” (plural). All agreed that Vauxhall Cross is currently fine for buses and car drivers, but not OK for cyclists and pedestrians, and that the quality of ‘the public realm’ could be better. There is also the point that the whole VNEB area is attracting huge investment, and Vauxhall Cross is very complicated, so it is very difficult to accommodate all transport needs. It was not the case, they said, that Lambeth had consistently refused to have officials investigate the option of retaining the bus station – but (as noted above) they later admitted that no such option was being considered and it will not be considered without a clear political change of heart. Various speakers and questioners then noted that ‘the design brief was wrong’; argued that it would not be possible to decentralise the bus stops and maintain a satisfactory transport interchange (this from an employer); and suggested that the ‘iconic’ bus station structure should be listed. A couple of speakers said that they did not want to endure the two years of gridlock that accompanied the last reconfiguration of Vauxhall Cross, and others expressed concern about the placing of bus stops along highly polluting main roads. Ross Davies asked whether TfL had plans to develop the bus station site once they had closed it. ‘Not at present’ was the answer. Finally, we were promised that the eventual formal consultation would contain ‘clear’ questions and options, and that the draft document will be tested (i.e. on representatives of the public) before it is published. In the shorter term, discussions will continue at an invitation-only event on 29 January, at which your Residents Association will be represented.